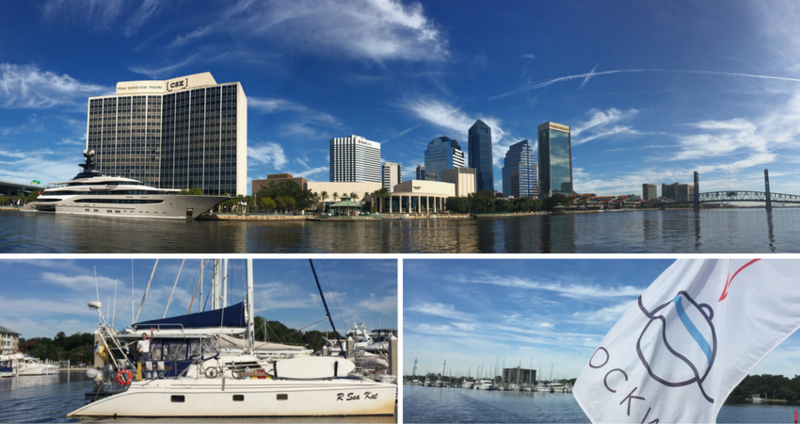 The last two legs of our quick trip down the coast: Charleston to Jacksonville with a stop in Savannah, then straight on to Palm Beach! 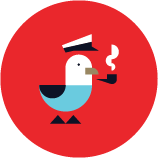 If you're headed down the coast, we'd love to hear about your progress – email becky@dockwa.com. 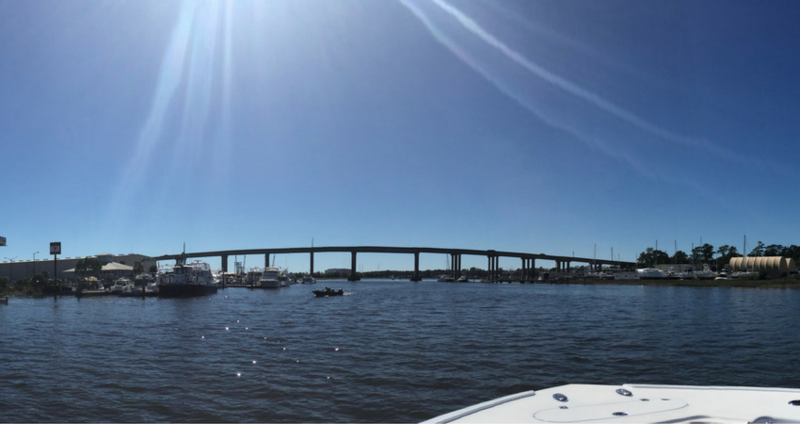 Conditions were favorable on the open water, so we left the fuel dock in Charleston and headed outside. We'd heard reports that Savannah had taken a beating from Hurricane Matthew, so as we pulled in we kept a close eye out for debris. Red Buoy 20 was off its setting in the AIS, which we reported to the Hurricane Matthew Marina/Waterway Report. The Coast Guard Station had sustained roof damage and as we made our way to the Savannah River we spotted a telephone pole submerged in the middle of the waterway. As we went by Hinckley Yacht Yards (pictured above, on the right) on the Wilmington River, we noted what looked like only minor damage to a storage container and smaller floating dock. The majority of the transient dockage looked fine and was in use. 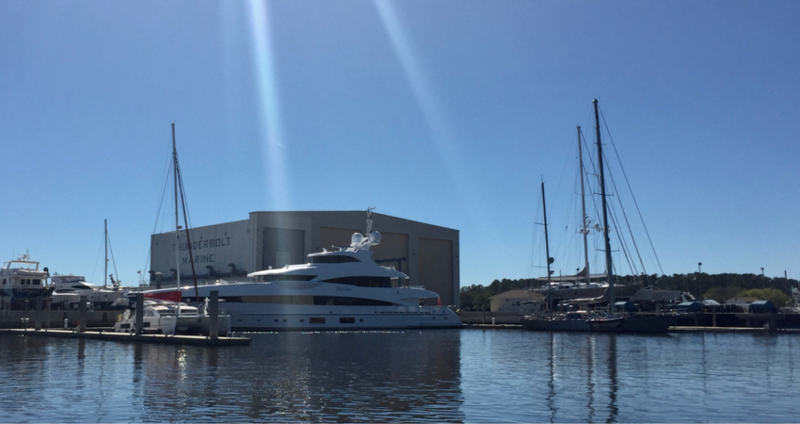 Thunderbolt Marine, a mile South down the Wilmington River from Hinckley at Intracoastal Waterway Marker #35 (ICW Mile #583), had sustained more severe damage from Matthew. At the time, Thunderbolt was still regrouping and we saw no activity on the docks, but they've since made quick work of repairs and are back up and running. We can't wait to return to Savannah to say hello (as previously noted, we get a kick out of unique marina amenities, and Thunderbolt has one of my personal favorites). Leaving Savannah, we reported another marker that had been torn up so badly that it was barely recognizable and had drifted south of its intended location. Once underway, we went ~9 miles offshore in order to make a beeline down the coast without running into Cape Canaveral. We heard a small craft advisory, but our conditions were clear, if just a bit bumpy with 15 knots on the nose. As we made our way to Jacksonville via the St. John’s and Ortega Rivers we didn’t note any debris, but heard from other boaters that there were tangled branches and full trees spotted drifting down both rivers. We were more alarmed at how many boats were going the opposite direction down the river in a mass exodus, but apparently that’s par for the course when a Jaguars game gets out. 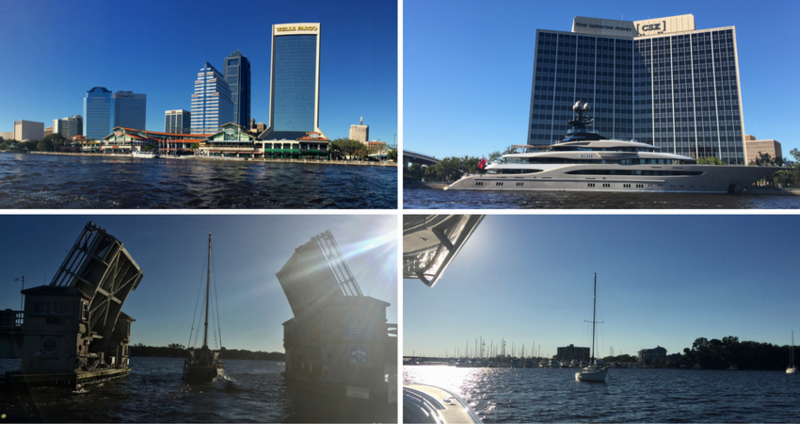 On a related note, waiting for the Acosta Bridge to open is a fun way to make friends on the water while trying not to stare at Kizmet, the $200 million megayacht owned by Shahid Khan, owner of the Jacksonville Jaguars. Ortega Landing is, in a word, awesome. We put in our reservation request at 10:30AM and were confirmed by 10:36. Again: no emails or phone calls, just a message from the dock master, Javon, about our slip assignment. When we pulled up to the docks Javon was there to greet us, even though we arrived after hours. Because he lives aboard in the marina, Javon's on-hand for anything that might go amiss during your stay. Unsurprisingly, nothing did. 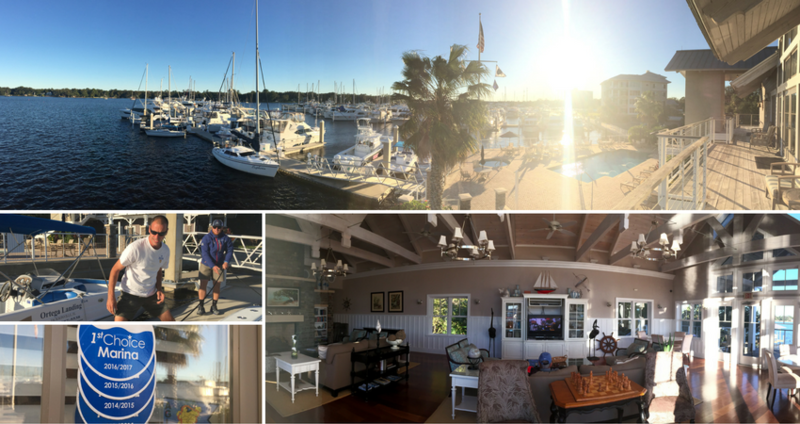 The clubhouse at Ortega Landing is pristine yet homey, and available for transient and seasonal guests to enjoy. 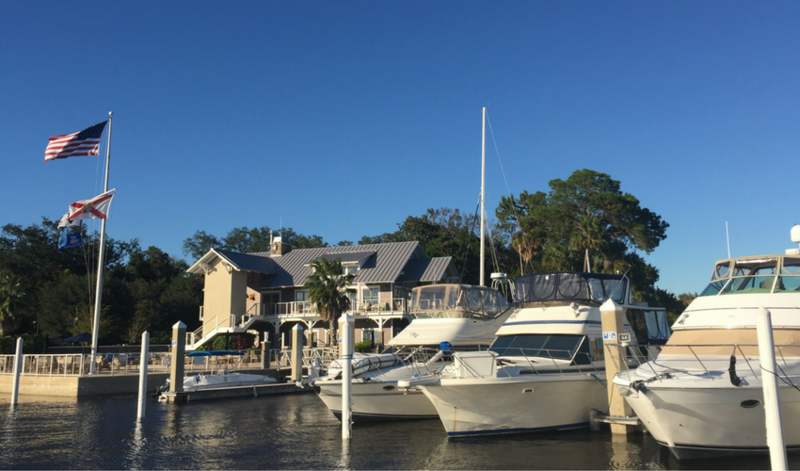 Bruce, the Marina Manager, highlighted some of the gatherings their guests have hosted, including parties and yoga classes. And here we were impressed just to have a big screen and comfy couch to watch the game! The marina’s welcome packet alone gives a great indication of the care they put into their guests' experiences, complete with a list of staff contact numbers, and guides to medical facilities, shopping and dining options. In our tired state, we took the easy route and got dinner at Longhorn Steakhouse, but my recommendation for a short stay would be to order delivery and enjoy the beautiful clubhouse, pool, hot tub, and scenery. Even on shorter boat trips you can meet the most amazing people. While prepping the boat, we met Mike and Deanna, a couple staying at Ortega Landing aboard R Sea Cat, named for their three children. When Mike was diagnosed with throat cancer and given a 15% chance of survival, he fought for a year, won, and the pair decided to buy a boat to travel the world. They’ve done exactly that, and now have 70,000 sea miles under their belts. We borrowed the marina’s bikes to scoot over to The Metro for breakfast, then took the boat to Arlington Marine across the river to take on fuel and were underway by noon. 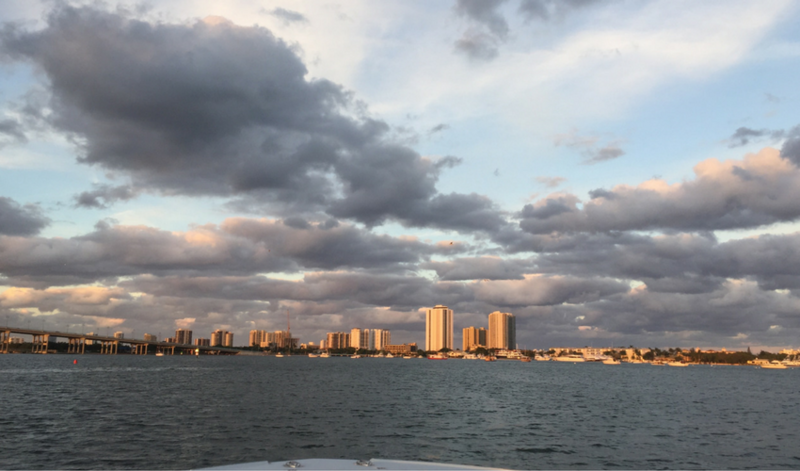 Our sights were originally set on Miami, but the Fort Lauderdale Boat Show managed to fill every slip for miles; the new goal was to get to Palm Beach by the end of the day. This final 250-mile leg was perhaps the most brutal, with the boat and crew taking some massive waves at 50-60MPH. We finally made our way to Palm Beach Gardens, seven miles up the Lake Worth Lagoon and North Palm Beach Waterway from West Palm Beach, just after sunset. 1500 miles, a few hundred gallons of fuel, 12 Dockwa marinas, one GoPro Hero 4, and only a handful of minor injuries later, we tucked the boat in and hopped flights back north. Did we accomplish our mission? 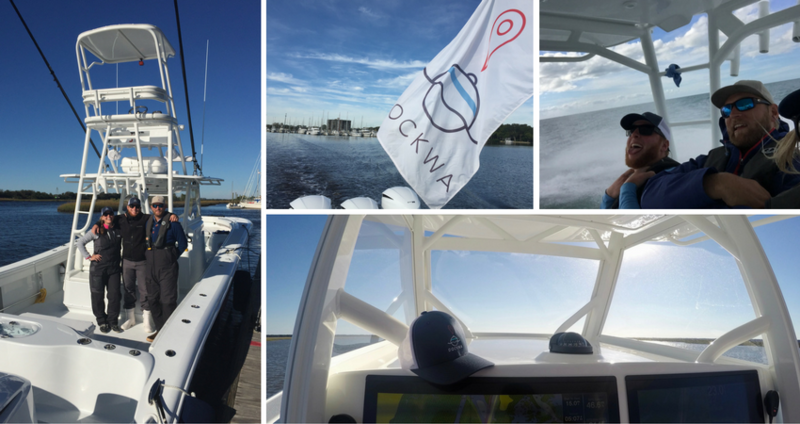 We delivered the boat swiftly, safely, and efficiently, met marina managers and fellow boaters, learned ways to make Dockwa even better, and developed a much better appreciation for the skill, focus, and planning involved in cruising by powerboat. Many thanks to Will, Tyler, all the marinas we stayed at, and the folks at Vineyard Vines for giving me the opportunity to hop aboard! 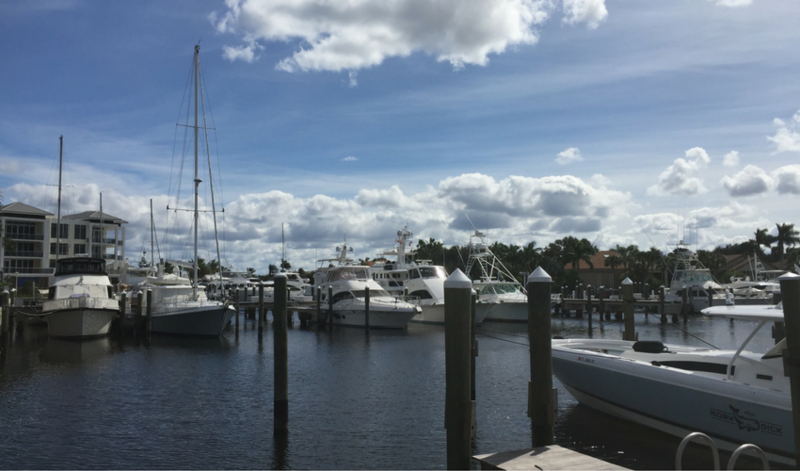 Remember, if you see something, say something: report ICW conditions to your fellow boaters via our Hurricane Matthew Marina/Waterways Report, tell us what marinas should be using Dockwa, or send us app/website feedback to info@dockwa.com.